If you walk into any DIY home improvement store today, you'll likely find some smart home gear. Same goes for stores like Target and Wal-Mart and of course Best Buy. You may find a lot of the same brands and devices. The main difference between these retail locations will be where they place these devices within their store and how well they help their customers understand what a "smart" device is and why they should care. In some home improvement stores, for example, there may be a tech / smart home aisle with a smattering of products strewn across the shelves, sometimes by category or brand. In that same store, there might be other products that sit next to their non-connected counterparts. For example, Nest thermostats tend to sit on the shelves next to other, "dumb" devices. The selling point is the sleek interface and the unique enhancements that Nest offers over a regular thermostat. It's not presented with other smart home gear and the idea behind a truly smart home isn't really presented. Having one device with an app a smart home does not make. 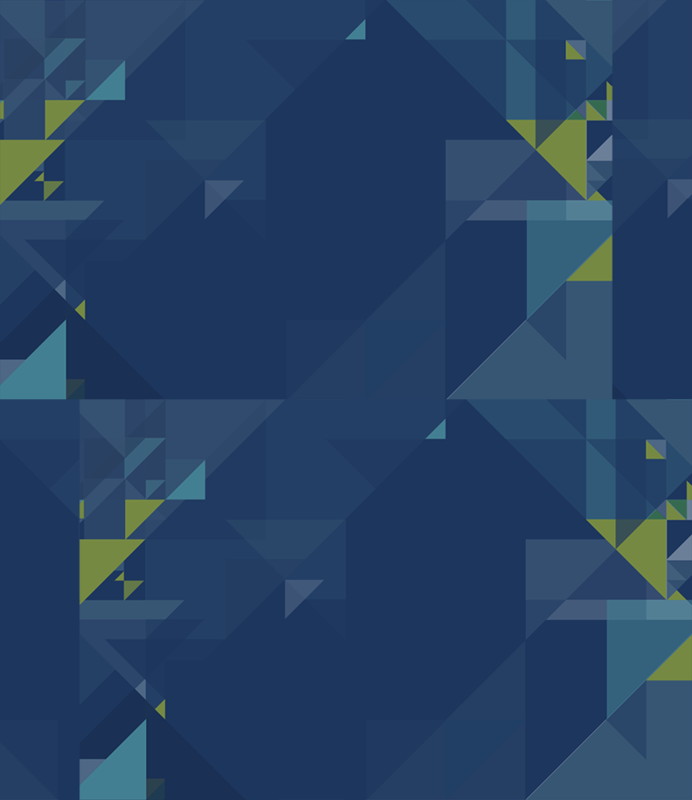 According to a Deloitte study in 2016, retailers need to demonstrate how smart products work. "People are more likely to understand the appeal and comprehend how they work once they see these devices in action." This is a fairly intuitive concept and when it comes to gadgets and more familiar tech like smartphones, tablets and even home theater, stores seem to embrace this. Phones can be touched and press with display models available, HD televisions line the walls paired with sound systems to show off the crisp display and powerful audio. But how do retailers accomplish this for smart home tech? After all, it isn't exactly easy to show how technology would operate throughout an entire home and how devices might be able to work together to create automations that make life easier, safer and more convenient - at least not in aisle 6. One good example is a recent announcement from Lowe's; the home improvement retailer has carried smart home goods for a while but suffered from similar challenges in the way they displayed products and helped customers see their value. Lowe's will now partner with b8ta, the experiential tech retail store founded in California to build a "store within a store" for smart home tech. Lowe's VP of customer experience design, Ruth Crowley, commented, "We developed Smart Home powered by b8ta to emulate a 'lab-like' atmosphere that empowers customers to make informed decisions." Another good example is the recent partnership between Best Buy and Vivint, the progressive home security provider that has successfully added smart home capabilities to their growing mix of products and services. Their store-within-a-store offers hands on experiences with their goods and services, with a trained Vivint employee(s) staffing at all times. Their online presence within the Best Buy online store does a credible job of explaining the benefits of a smart home, and how these services may be utilized. Lowe's plans to carry over 60 brands inside the mini store - and we expect to see many members getting involved as Lowe's has been a longtime supporter of Z-Wave with its Iris smart home system. 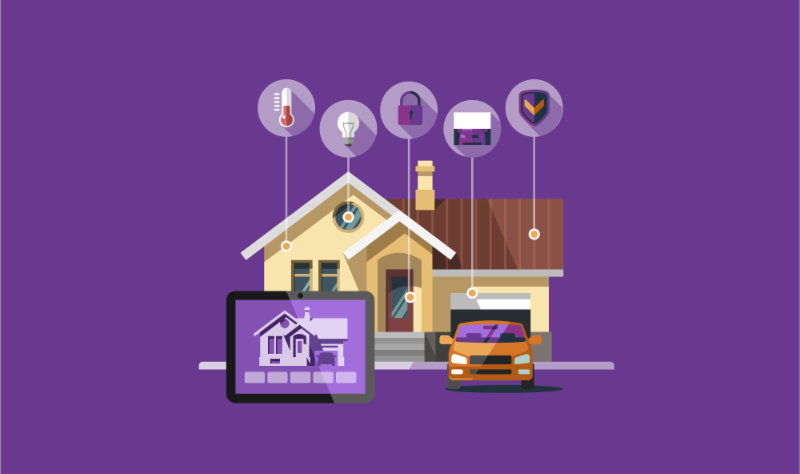 Vivint also has a curated selection of Z-Wave products that will grow as customer demand increases. It remains to be seen how successful their models will be, but what's clear is the need for change. Retail as we know it must evolve to better communicate what a smart home is, what it does and why consumers should open their wallet and jump on the connected living bandwagon. Each year, the holiday season marks an opportunity to sell smart home technology to a broader audience of consumers. Recent research from the Consumer Technology Association (CTA) on 2017 holiday spending found that "sixty-eight percent of U.S. adults, or 170 million people, plan to buy tech gifts this holiday season" and "33 percent of Americans planning to purchase a smart home device - up nine percentage points." There's no doubt about it - smart home technology is beginning to resonate more strongly with mainstream consumers. So, how do retailers take advantage of these trends to result in higher sales? We asked members how they sell smart home for the holidays and what they focus on. Members ASSA ABLOY for Yale and Fibaro weighed in. 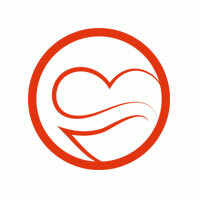 "Protect what you love" with a brand that you trust. Yale is one of the most highly recognized names in the security industry since 1840. Over the years there have been advances in materials, manufacturing, and technology, but the basic principles of the Yale brand have remained unchanged. Most of the locks securing American homes today owe a nod to Linus Yale's genius-a fact that makes Yale the most trusted name in locks. 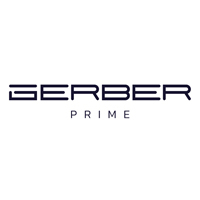 We're not selling gadgets, we're selling the peace of mind that comes with knowing that you can secure your home from anywhere, be sure that the kids have arrived home from school, and go to sleep at night knowing that the doors are locked and secured by a brand that's been providing security for more than 175 years." 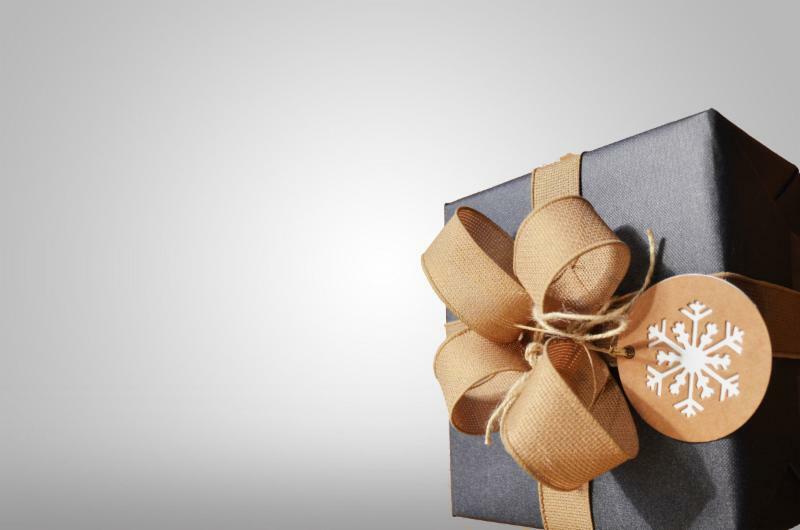 "Each holiday season, consumers are on the lookout for the best deals and the most savings. At Fibaro, we focus on offering sales and promotions for Black Friday, Cyber Monday and throughout the peak holiday shopping season. We also focus on creating smart home bundles and packages, which shows consumers how products from our line can work with one another and other Z-Wave products to build a smart home that provides security, safety, comfort and convenience. " The holiday season is right around the corner, and that means selling season for retail is already underway. If you're looking for ways to help drive sales, consider implementing a Facebook Ads program for your business. 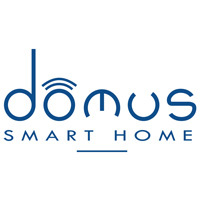 Smart home is a relatively new concept to shoppers, and there is a lot of work to be done in educating consumers around the benefits of connecting their home. High quality, interesting ad creative is key to any successful Facebook ad campaign. Facebook user's eyes will automatically shift to photos that instantly resonate with something they are interested in, or find visually stimulating. If you sell speakers for example, and your usual ads feature your product in a home setting, try switching it out with a speaker in a room decked out in holiday décor and lighting. The December holiday season is in full swing, and Facebook users are likely on the lookout for holiday-themed articles, sales, and promotions. Use features like carousel style links or any videos you may have to showcase best-selling products or services. Just be sure to use high-quality imagery - users will not click on images that are low-resolution or look poorly made. In order to maximize your ad results and generate sales and leads, make sure that you are targeting your ads to the right audiences. Holiday advertising is probably not an ideal time to do audience testing or to try to target new audiences. Instead, have your ads target the demographics that have historically purchased your product or used your service and tweak gently from there. You can also change your audience "People Who Match" category to fit interests and behaviors related to Christmas and holiday purchasing or gift ideas. After everyone has finished traveling, shopping, eating and giving for the holiday season, follow up with your customers with ads targeting any New Year sales or specials. If you tracked customers through purchasing behavior, target ads moving forward to these audiences. From there, you could even create lookalike audiences to target with similar purchasing habits as your holiday customers. This will create a brand new set of potential customers to target beyond the holiday season into the rest of the year. 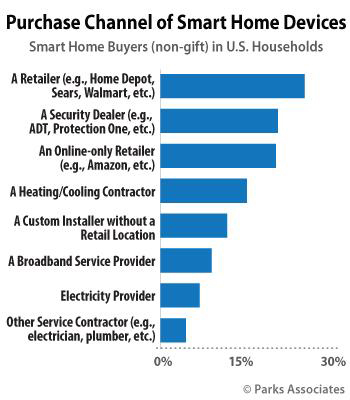 Retail is now the most common purchase channel for smart home products, according to a recent research study from Parks Associates. According to the findings, 26% of current owners of smart home products purchased their device from a retailer, such as Home Depot, Walmart, or Sears. However, the study warns, "As more products are purchased standalone and then brought into a connected home, the risk of a fragmented consumer IoT experiences increases." Z-Wave is the ideal smart home technology for retailers, because its interoperable ecosystem does the most to eliminate the risk of a fragmented (read: frustrating) consumer experience. Z-Wave's ability to work seamlessly between different brands and device types makes it unique among smart home protocols. Even better, new Z-Wave devices are always backward compatible with older Z-Wave products, so consumers keep the value of their existing smart home investment when they add more products to their system. Retailing smart home effectively is more than just having the right price. 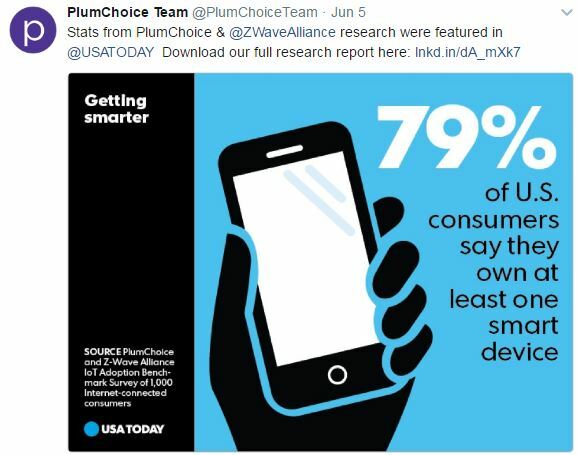 That's because with smart home, retailer's aren't selling a product per se, they're selling a consumer solution, be it security, energy savings, senior monitoring, or one of many others possible with smart home technology. A smart home solution is made up of multiple products, usually including more than one brand. That's because no one manufacturer can supply all the many different device types that make up a smart home solution. Solution selling works to the consumer's advantage of course. They get more choices, and when there's a Z-Wave hub controlling things, their systems are scalable and extensible over time. Solution selling with Z-Wave also works to the retailer's strengths. Because multiple products are needed for a solution, and multiple brands can perform the same types of tasks, retailers can put their merchandising smarts in play. Assembling good-better-best choices for different solution packages makes for happy customers at every budget point. Solution selling also gives the retailer a chance to add value beyond a simple transaction. Many DIY smart home consumers need guidance before the sale, and in some cases, tech support after the sale. Retailers that genuinely understand the technologies, and have staff that can explain them and guide customers both pre- and post-sale, have a tremendous advantage. Further, many retail customers that buy DIY smart products, would prefer that someone else install it for them. Retailer's don't need to offer a dedicated installation service, but they will enjoy more sales and great customer loyalty if they're able to assist the customer in getting the product installed. Smart home is getting easier and easier -- especially for the retailer, thanks to innovations like Z-Wave SmartStart. SmartStart lets retailers pre-provision the smart home system before it gets to the consumer. This leads a consistent and trouble-free out-of-the-box experience, whether the end user or a professional installs the equipment, and greater ROI for the retailer. Selling smart home is turning into a retailer's game. As with most games, the better players end up as the winners. Z-Wave lets retailers of all kinds become winners in the booming smart home market. by John Feland, CEO and Founder of Argus Insights, Inc.
As we move into the holiday season for 2017, the position of retail within smart home has shifted tremendously. Earlier this year, we saw Vivint partner with Best Buy in their go to market strategy, something that has seen consumer demand at Best Buy jump significantly over 2016, almost doubling. While Amazon has traditionally been the launching point of many DIY smart home devices, the established Queen of Voice Assistants, Alexa, has thrust Amazon center stage on the ongoing saga of smart home adoption. Home Depot and Lowe's continue to be a key retail channel for smart home DIYer, with strong strength in Thermostats, Lighting, Switches and Sensors. The focus on Lowe's Iris platform has dimmed their overall demand relative to Home Depot as the Iris platform does not perform as well with consumers. Retailers across the market are looking for ways to make smart home a center piece of their Black Friday and holiday strategies this year. 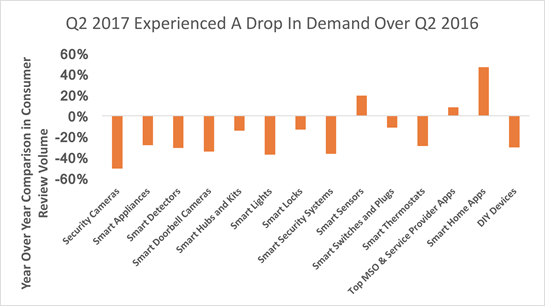 This is especially important given that the second half of 2017 has been hard on smart home demand. Many consumers are still struggling with how their lives will be improved with the installation of new smart home devices. There is an opportunity for all Z-Wave Alliance members to help their retail channel partners drive awareness of what a smarter home can do for consumers, in terms the consumers will understand. Best Buy has stepped up with new seasonal ads targeting smart home, featuring Philips Hue controlled holiday lights tied to festive music. Though for every smart home ad there are seven ads focused on the joy of a 4K television. Even as DIY brands are moving in security services, with launches like Amazon Key and Nest Secure, messages of fear and theft do not align with the holiday spirit that typically moves markets. Messages of convenience, fun and entertainment will drive greater holiday adoption, something that Google Home and Amazon Echo have been capitalizing with their campaigns. This holiday season promises to be a big one for smart home, especially if the message consumers receive positions them as the hero of their holiday tale. 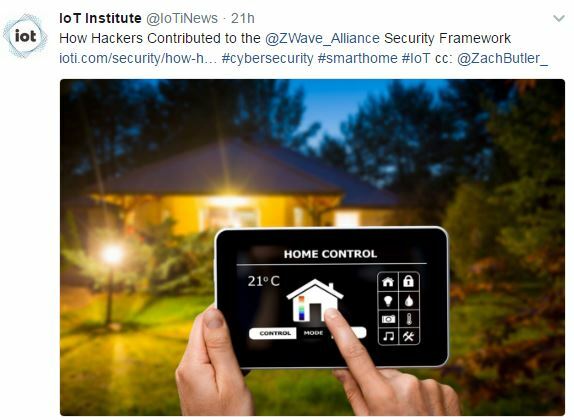 Z-Wave has a big role to play with the ongoing message of interoperability, S2 security and, as it rolls out, Smart Start. Given the continued frustrations customers have with initial set-up and the dominance the Z-Wave has in the market, even in the face of the ill-equipped Echo + with Zigbee, Holiday 2017 has the chance to be a big one for Alliance members. Just remember to let your retail partners know what compelling consumer campaigns are on your wish list. The connected home industry is still very young, and like any teenager, it has made some mistakes on its way to finding its own identity. One of these was to get a little carried away with all the innovation that new technologies (IoT and cloud services) have made possible - and creating products that didn't serve a legitimate market need. Remember Google Glass? Developers did this with varying degrees of success, simply because they could. In the early days there was a lot of hype about the "internet of everything." 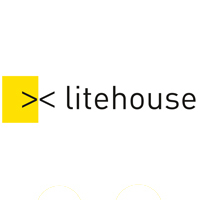 The goal was for absolutely everything within and outside the home to be permanently connected to the internet - from baby monitors to fridges to streetlamps. 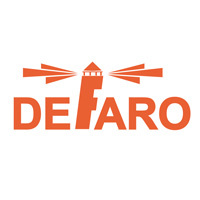 Then reality struck: there were communication incompatibilities, a lack of standardization, privacy issues, security breaches and hacked devices. Also, consumers were not buying these gadgets at the expected rate because they just seemed like unreliable expensive toys that did not answer their real, everyday needs. A talking carpet? Sounds like fun, but most people would deem it too pricey and not really useful. Such a product would probably never reach the mass market, and reaching mass adoption is required for it to truly take off. The idea wasn't so much about making everything "smart," but about helping people connect to their homes and to each other. The industry had failed at following the most basic marketing principle: offer people what they want. Don't get carried away by futuristic utopias; stop and listen to people's needs, and then create solutions that address those needs. Consumers don't need a talking couch or a smart umbrella - they need to keep their home and family safe, reduce energy waste, enjoy comfort and convenience. Although awareness is steadily increasing, many users remain cynical. For them, connected devices are not really a must-have, but a whim for the wealthy. They won't invest money in complex, hard-to-manage solutions that may soon become obsolete, or won't speak to other smart devices they may add later. They are also increasingly concerned about data security and privacy issues. All these fears are a direct consequence of those first few years since the original IoT market introduction. Devices should provide a solution to very specific user needs, either as stand-alone units or as part of a system that can learn patterns and adapt over time to meet each household's requirements. 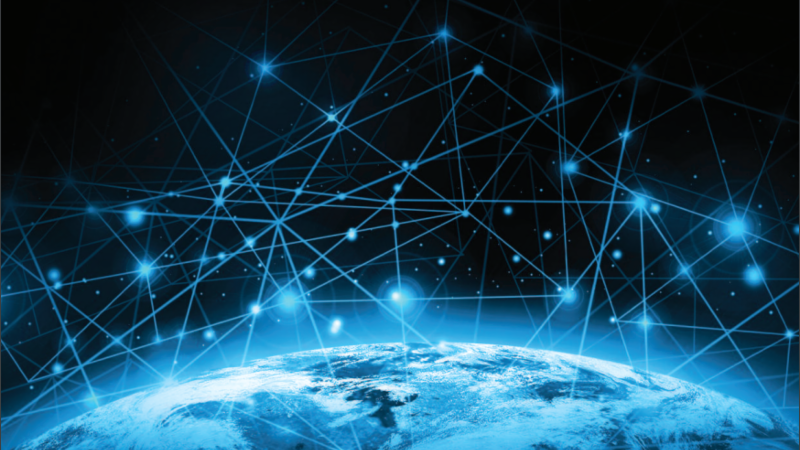 In fact, maybe even the name "Internet of Things" is already outdated, and will soon be replaced with a more accurate term referring to this new, constantly evolving market that continues to learn from and build upon itself. 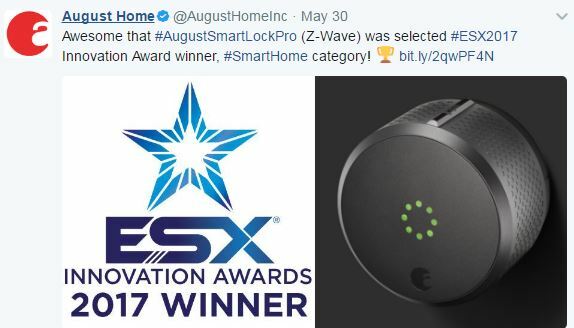 For example, connected home solutions like Essence's WeR@Home platform continue to add Z-Wave compatible devices for consumers - including the new August Smart Lock, Yale and Nest. The Z-Wave wireless communication protocol expands interoperability among home automation devices. By integrating Z-Wave technology as part of the WeR@Home system, we are able to offer a variety of compatible solutions that make everyday life more comfortable and convenient. The connected home market has learned from its mistakes and has finally begun to listen to, and address, consumers' real needs. Partnerships have emerged that have challenged traditional business models, with many key players supporting a different piece of the smart home like vendors, dealers, providers, installers. Bridges are being built to unify the various parts of the platform, so that consumers can enjoy a truly seamless experience - a connected ecosystem of different devices that speak to each other and function in a non-obstructive manner. After some years of uncertainty and testing, the connected home industry has realized that the old home automation concept was not the example to follow. Now, it has reinvented itself. It has created a completely new market - one with endless potential. Comprised of many different players, but with enough space to contain them all, it aims to offer a great customer experience while making people's lives much easier, safer and more comfortable. Rafi Zauer is head of marketing at Essence. Essence's flagship products, WeR@Home and Care@Home, deliver the IoT experience for complete home security, safety, and management and senior independence. 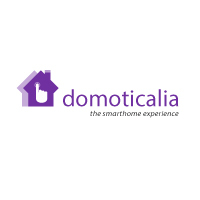 This month, we're excited to introduce the availability of a whitepaper that the Z-Wave Alliance worked on in collaboration with Mobile World Live titled Smart Home Strategies That Pay Off. The whitepaper explores how early leaders in the smart home space from service providers and telcos have attracted new customers and strengthened relationships with existing ones, as well as the benefits of launching a smart home offering on business opportunities and growth. It offers takeaways and feedback from industry leaders who have successfully implemented smart home programs. Smart Home Strategies That Pay Off is available for download in the link below. Copyright © 2017 Z-Wave Alliance, All rights reserved.